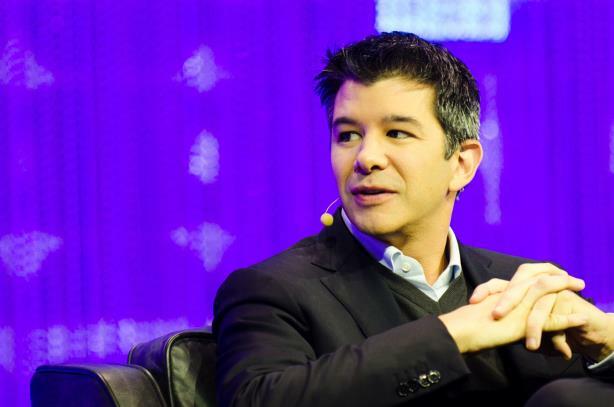 Embattled CEO Travis Kalanick has stepped down from Uber's top job after an investor revolt. Breaking overnight: Travis Kalanick has stepped down as CEO of Uber four months after allegations of widespread sexual harassment and mistreatment of women at the company were made public by a former employee. The self-styled bad boy tech CEO resigned after a shareholder revolt in which five major investors demanded he immediately quit the company he founded in 2009, according to The New York Times. "I love Uber more than anything in the world and at this difficult moment in my personal life, I have accepted the investors’ request to step aside so that Uber can go back to building rather than be distracted with another fight," Kalanick said in a statement, according to the Times. Republicans won two special congressional elections on Tuesday, including the closely watched Georgia contest in which Karen Handel bested Jon Ossoff by a wider-than-expected margin. How Republicans are spinning it: Forget the president’s abysmal poll numbers, we’re 5-0 in special elections held since November. How Democrats are spinning it: You didn’t really expect us to win a district that hasn’t gone our way in nearly 40 years, right? Besides, the math is still looking pretty good for 2018. Oh, and don’t forget that Russia thing. What it really is: Ossoff’s defeat is a tough loss for Democrats, who were desperate for momentum and threw tens of millions of dollars and all kinds of outside support behind him. Here’s what you’re missing in Cannes. A pizza boat. (Details are still hazy). Publicis Groupe is pulling its agencies out of industry awards for the next year to focus on the Marcel artificial intelligence platform. Ketchum and Hill+Knowlton Strategies took home Grand Prix trophies in the Creative Data and Cyber categories. Richard Edelman chatted with Civil Rights pioneer Jesse Jackson. And if you’re already sick of your friends’ pictures from the South of France, good luck today. Wednesday is #NationalSelfieDay. More changes to the White House’s communications strategy could be in the works. President Donald Trump is considering cutting back on the number of televised briefings to one per week and asking reporters to submit written questions, according to the Times. Amid reports Press Secretary Sean Spicer will move to a new role—Late Show host Stephen Colbert is already in mourning—the Daily Mail’s David Martosko tweeted a statement pulling himself out of (reported) consideration for Spicer’s job. Any New York City commuter will tell you the MTA isn’t having the best summer. Case and point: A Tuesday headline in the New York Post blared, "This is how the MTA made your commute hell this morning." So the organization’s snippy Tuesday afternoon tweet blaming 80-year-old equipment for that morning’s mess didn’t go over well with commuters.